Promises of agility and schemaless data storage are always around the corner for NoSQL databases. And the thing is, it's all true: You can store unstructured data easily...but you'll need to apply structure when you actually use the data. Various solutions exist to help. In this talk we'll look at how it all starts by getting the data model right and understanding what patterns can help avoid common traps like hot spots and problems with concurrent access. Next we'll cover the new SQL-like languages that allow us to query semi-structured data in a more familiar way, such as N1QL. N1QL (pronounced "nickel") is the first query language that leverages the complete flexibility of JSON with the full power of SQL. As such, it's a real game changer in the NoSQL space. 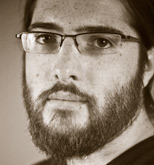 Laurent Doguin is a Paris-based Developer Advocate where he focuses on helping Java developers and the French community. He writes code in Java and blog posts in Markdown. Prior to joining Couchbase he was Nuxeo's community liaison where he devoted his time and expertise to helping the entire Nuxeo community become more active and efficient. Prasad Varakur is a Principle Product Manager at Couchbase, and comes with over 17 years of database internals DNA. Prior to Couchbase, he was Director of Strategy/Sr. Architect at Huawei R&D, focusing on cloud, lightweight virtualization, and big data technologies. Before that, he spent a decade building Sybase's ASE database Cluster Server. 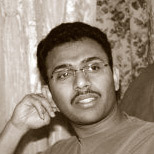 Prasad holds multiple patents in distributed systems and database internals, contributed foundational research works of Parametric Query optimization techniques, and has a master's degree in computer science from Indian Institute of Technology (IIT), Kanpur.